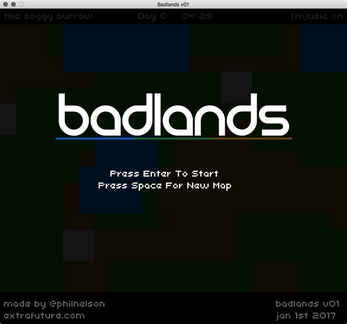 Badlands is a single-screen god game game which simulates a tiny world, with dirt and grass and rocks and trees and water. That's it really. Your role in Badlands is less god and more curator. You are a tiny god. Sculpt the absurdly lo-fi landscape, watch a 5-pixel-wide person-square wander through a proceedurally generated tilemap. These are all real things I swear to you. You might even like it. 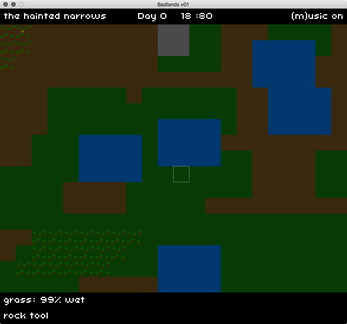 I plan to continue developing this semi-slow-life toward an even slower and more lively thing. 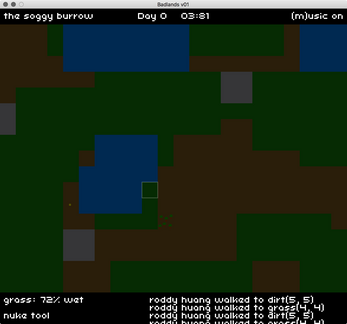 I want wandering tribes who set up camp in your world and wander off again, what little they leave behind becoming landmarks. I dream about this stuff. 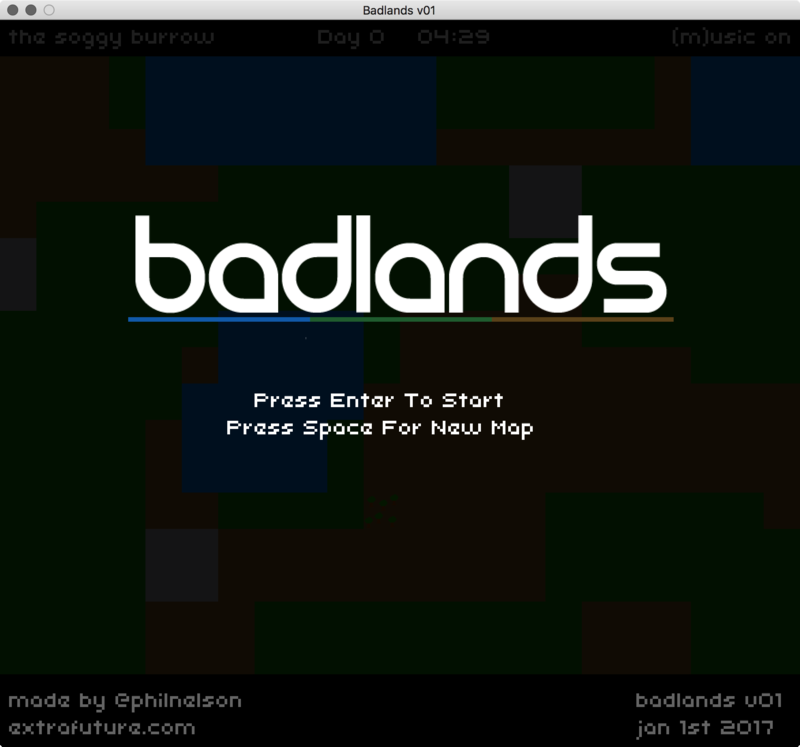 Badlands is barely more than an experiement I built over christmas / new years weekend 2016. Badlands is not to be taken orally. Ask your doctor if Badlands is right for you. You can pay $1.50 to submit 3 names to the in-game random name generator. Find out how on the official website.